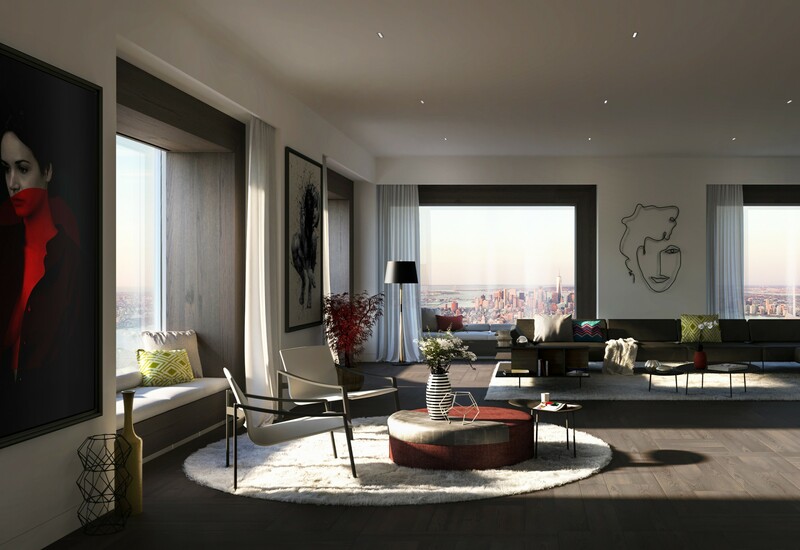 Matteo Nunziati signs the interior of a 767 square meter penthouse inside the 432 Park Avenue skyscraper in New York. 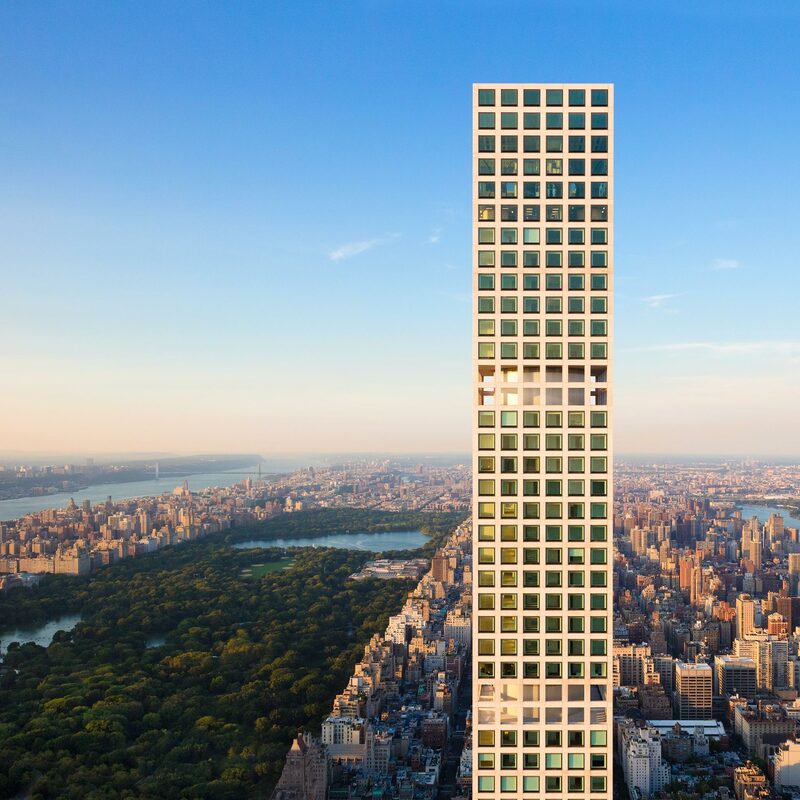 432 Park Avenue is an exclusively residential building, located in the heart of Manhattan and a short distance from Central Park. 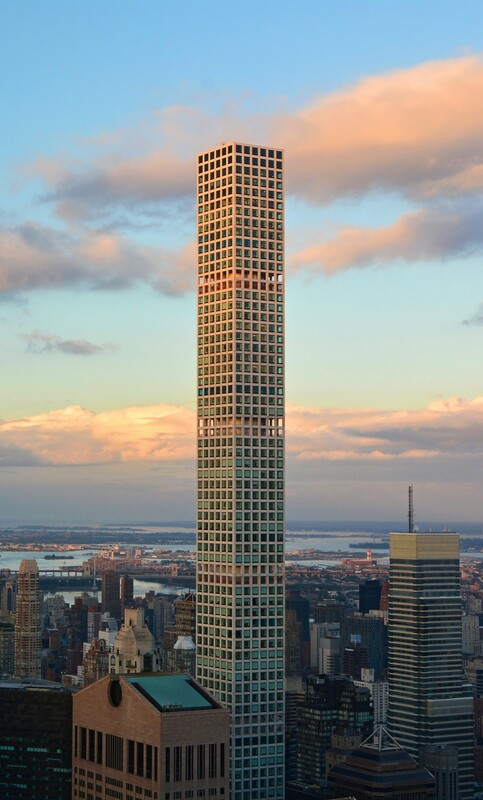 Completed in 2015, with its 426 meters high and 96 floors it is considered the third tallest skyscraper in New York however, considering the only height to the roof is the tallest building in the city. 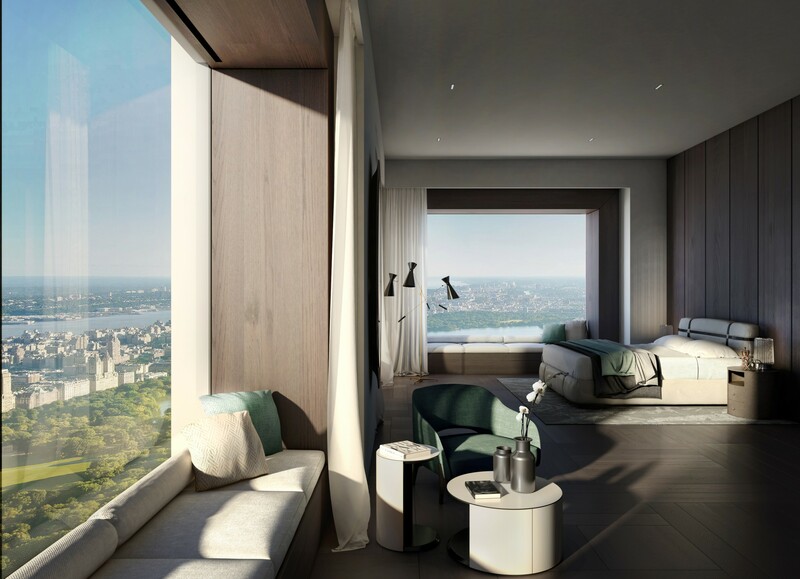 The architectural project is made by the architect Rafael Viñoly. The building is characterized by a very essential and rigorous design. 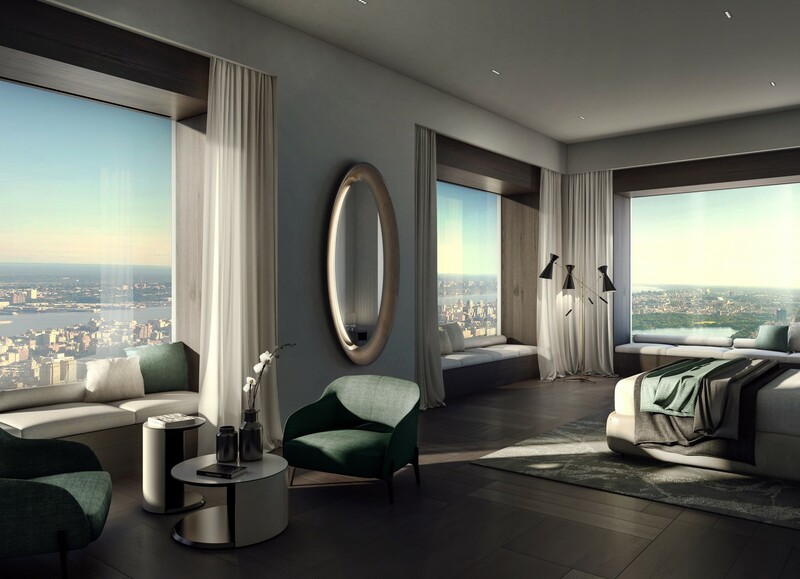 The common areas are characterized by an extremely minimalist design, clean lines, regular spaces well illuminated by the numerous windows. 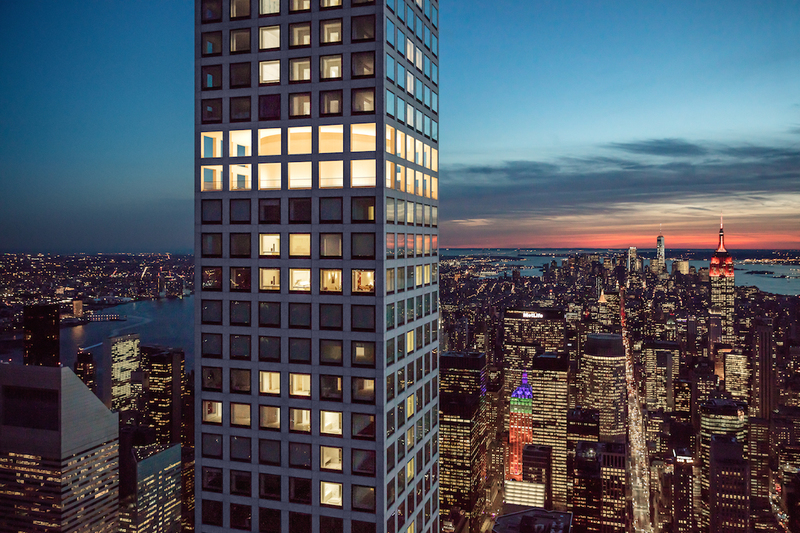 The 432 Park Avenue also has 2,800 square meters of areas dedicated to common services for residents such as a billiard room with a library, meeting room, cinema hall, children's area and a wine shop with controlled temperature; on the 16th and 18th floor there is a large equipped gym including fitness area, showers, sauna, turkish bath, jacuzzi, yoga room, massage rooms and a 23 meter long pool. 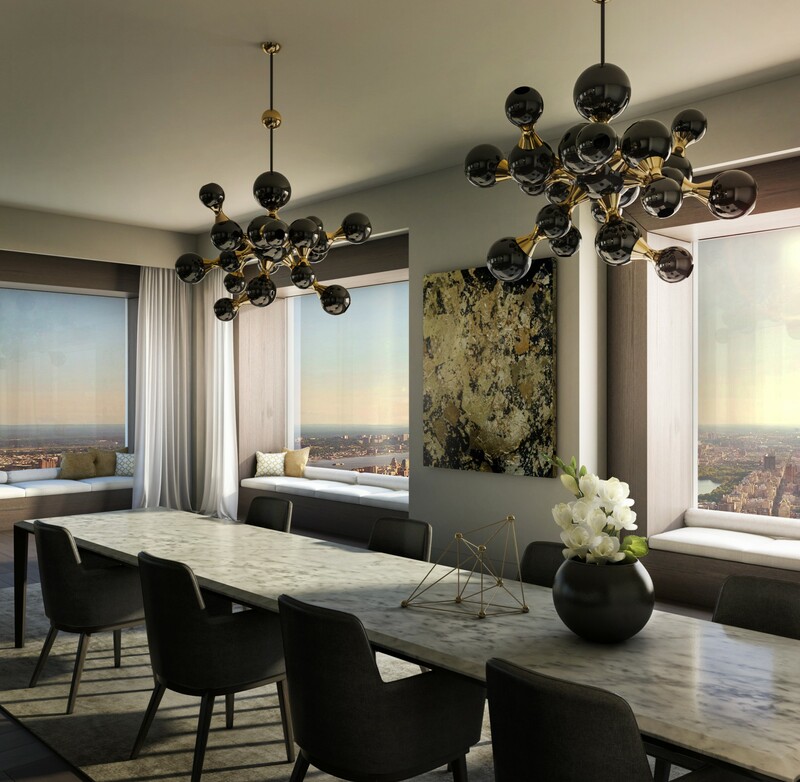 The restaurant on the 12th floor, managed by the chef Shaun Hergatt, is exclusively dedicated to residents and their guests and also offers a catering service at home on request. On the ground floor there is a large concierge service where you can also book various services such as laundry, domestic staff, driver, taxi, restaurants and entertainment ticket office. 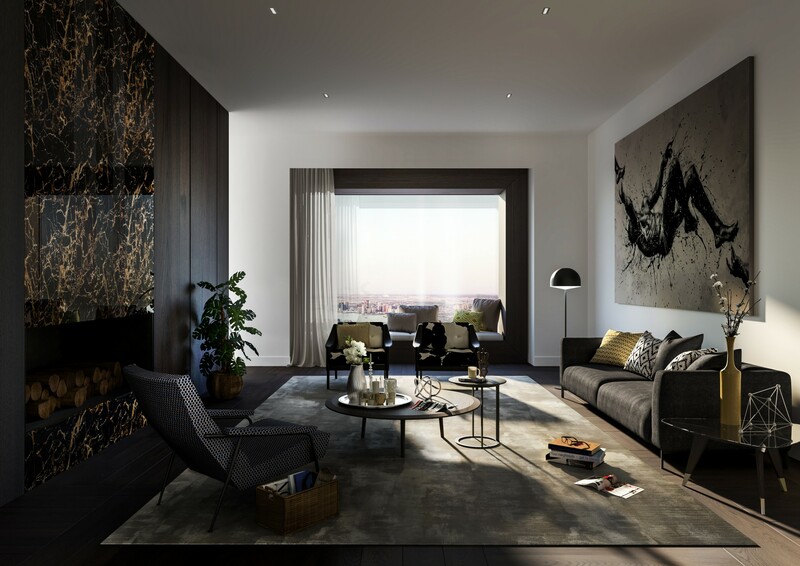 The 104 units are of different sizes from 250 square meters to a 767 square meters luxurious penthouse and all include a double entrance, private elevator with direct access, underfloor heating, sophisticated home automation systems and fine finishes. 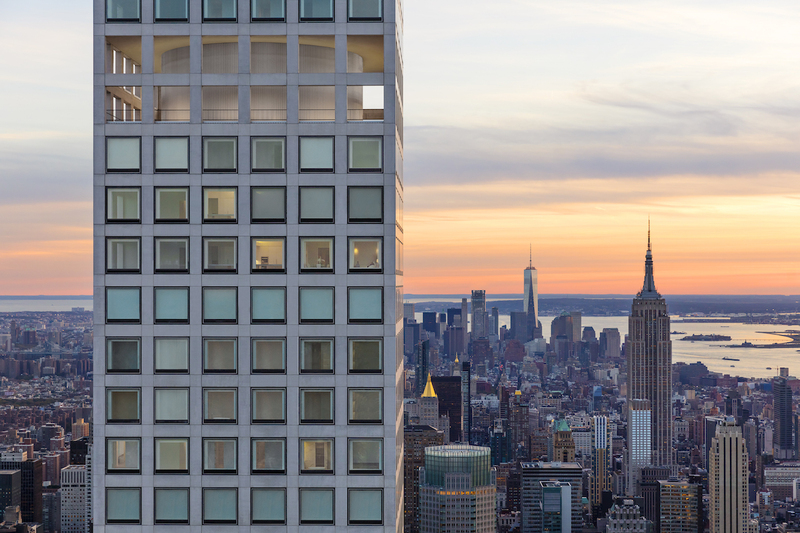 From the 88th to the 95th floor are the penthouse, which each occupy all 767 square meters of each floor. 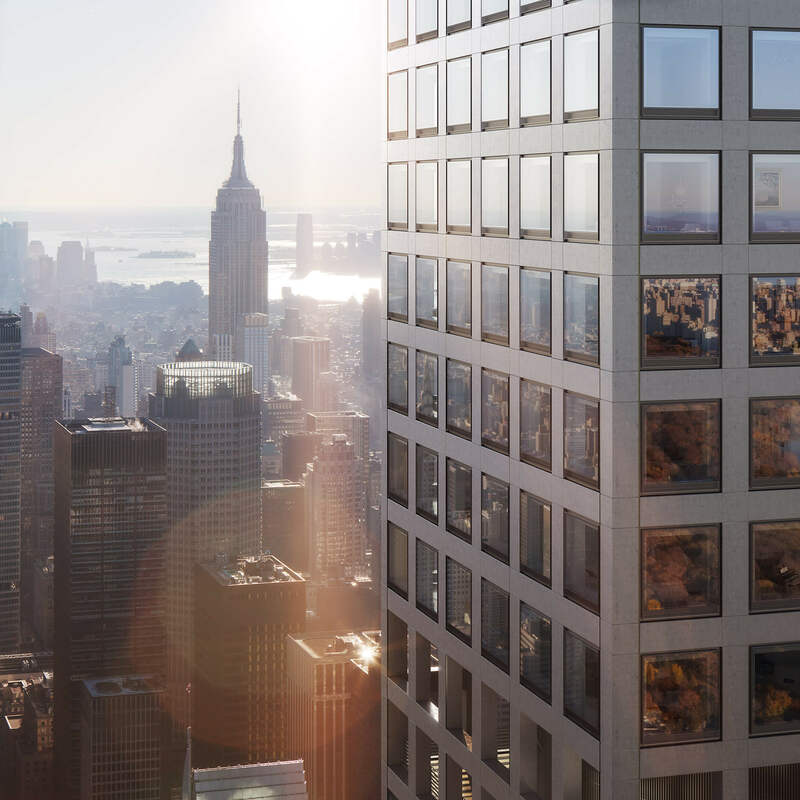 Recently one of these penthouses has been sold for 95 million dollars considered as one of the most expensive apartments in the world. For the interior design Matteo Nunziati covered the large square windows with a frame in eucalyptus wood with integrated cooling systems, LED lighting and automatic curtains. 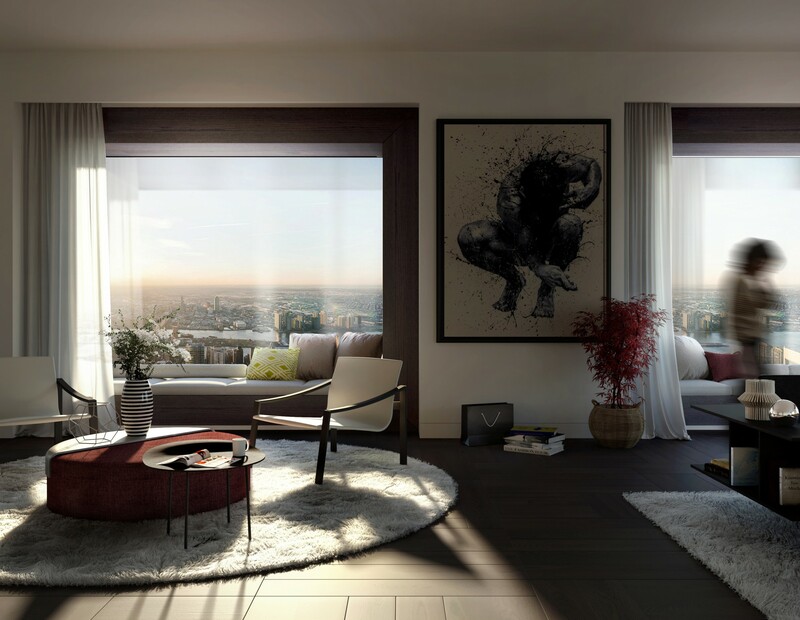 This frame enhances even more the elegance of the iconoc large square windows. The floor is covered by “Fox Trot” a square plank in wenge wood designed by Nunziati for Listone Giordano. 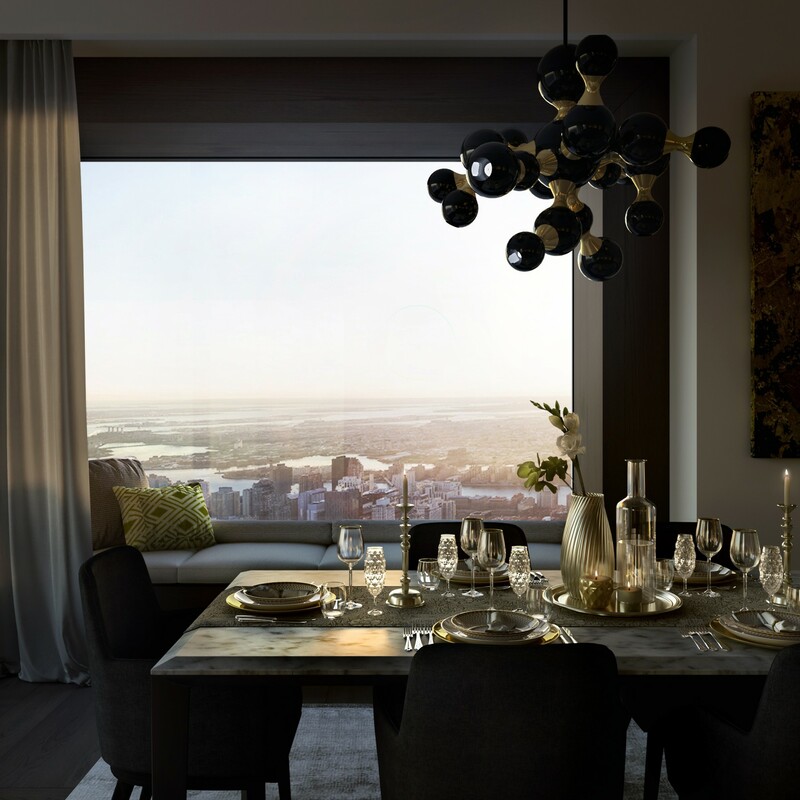 The furniture has been selected among the most prestigious international companies, in particular for the living area Nunziati selected the Allure armchair and the Trevi coffee tables designed by Nunziati for Molteni & C and the Filigree table with Chelsea chairs for the dining room. In the Family Living, the breeze sofa designed by Nunziati, the D153.1 armchair and the D.552.2 table designed by Gio Ponti. The furniture and finishes create a contemporary athmosphere, but at the same time warm and timeless.